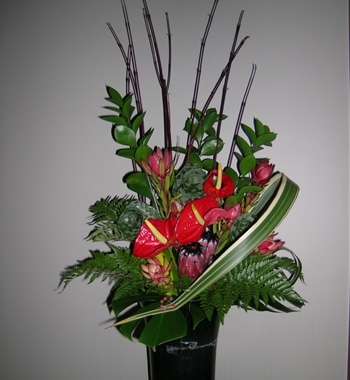 Protea, Anthirium, Fern, Sticks, Flax flowers and assorted foliage. Arranged in a ceramic vase. Corporate arrangement. Long Life. Large shown.